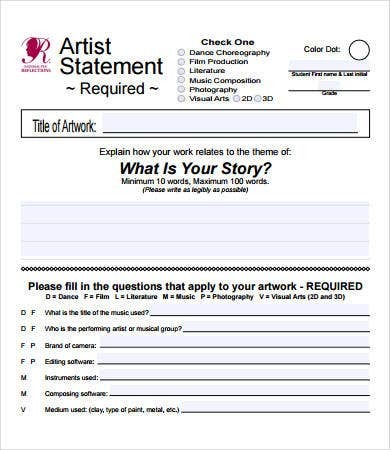 An artist statement is a document that that allows people to see artists as they are. It introduces the artist and his or her works on a level that is more intricate and curated. 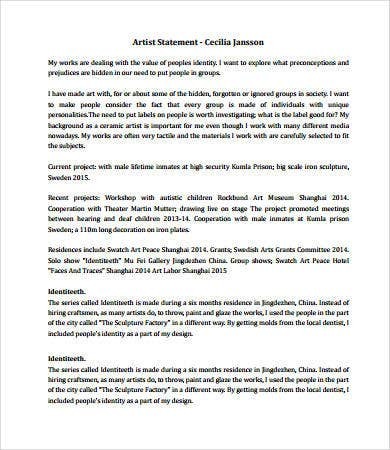 As a personal statement, it talks about not only about the artist and the works of such artist but also about the processes that both the artist and the artwork need to go through to achieve an output that will be able to serve its purpose. 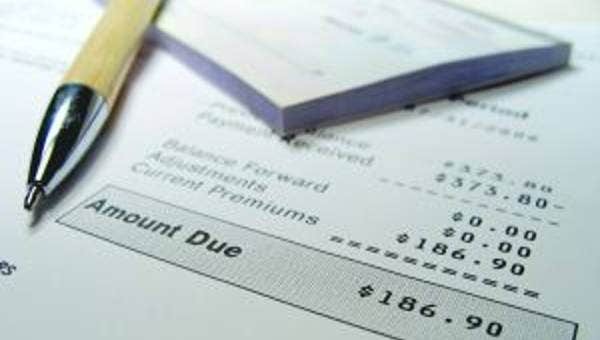 You may look at the Statement Template samples on our website to have more idea about the creation of other statements. 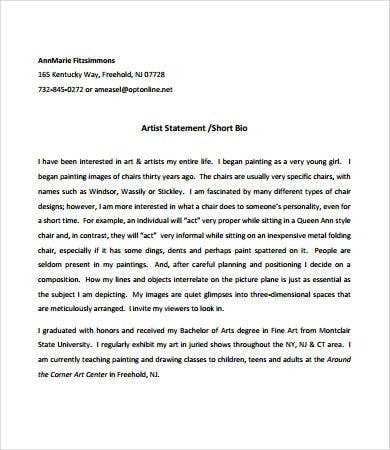 Since it is made by the artist or a group or another individual who has researched or has a personal connection to the artist that allowed him, her, or them to do the document, an artist statement expresses the entirety of the person as an art practitioner. 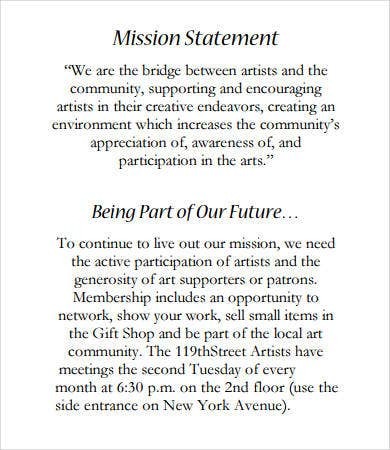 It helps the people to get in touch with the self-appreciation of the artist, which allows him or her to create more art forms that soon people will appreciate as well. The process of becoming the artist that you want to do is a tedious one. 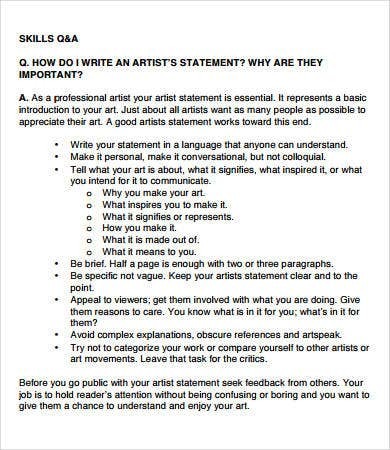 It takes a lot of learning by yourself or within the four corners of an institution so an artist should be able to know him or herself first and apply it to all arts that he or she as been doing. 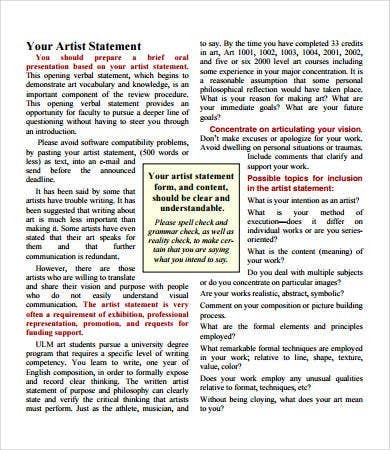 You may take a look at our Statement of Work Template should you already have the idea that you needed concerning an artist statement. 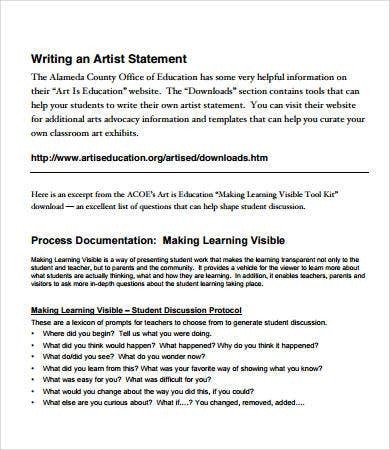 Viewers of an artwork should be able to understand an artist statement based on how it is being presented. It allows them to understand where the artist is coming from and how an artwork or a collection of such is relevant to the life of the artist. It also gives us the message or idea that is of most importance to the artist. Should it be shown in his or her works, we need to take a closer look at the details of the art form and identify the relevance that they have with the artist and most probably, with us as well. 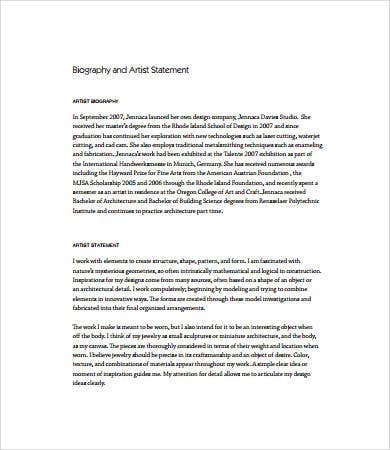 Aside from our artist statement, you may also browse through our downloadable Thesis Statement Examples for those students currently writing their theses.